John Mullanphy, who emigrated from County Fermanagh to the U.S. in 1792, and made his way to St. Louis after reaping a fortune in the cotton trade following the War of 1812, was the first to have a major impact on St. Louis. The first millionaire west of the Alleghenies,**he is remembered as the city’s first philanthropist. John Mullanphy knew what poverty looked and felt like and he never forgot it. Among his many endowments was the first hospital west of the Mississippi River in 1828 – a three-room log cabin, which he invited four Sisters of Charity from the east to staff. The needs for medical care were so great that he replaced it with a three-story brick hospital in 1832 at Third and Spruce Streets downtown.This was the first Catholic hospital in the nation. 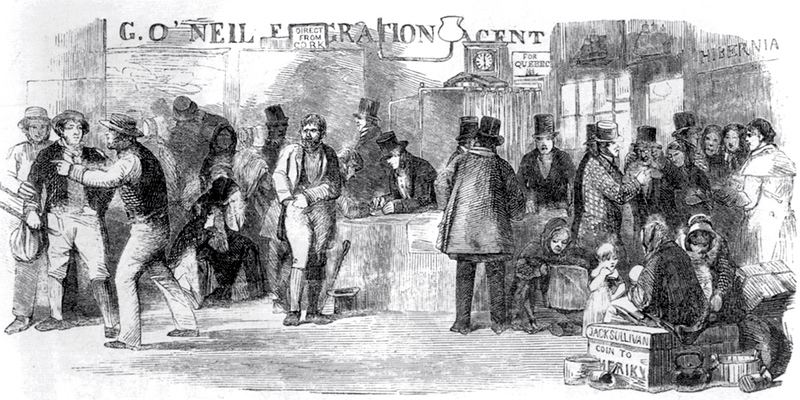 As with other immigrant groups – Italian, Bohemian, Polish, Syrian, Russian, German, Czech, Chinese – the Irish sent some of their wages home to enable other family members to emigrate. When my husband’s father, Jack Kavanaugh arrived in St. Louis from County Galway at the age of eighteen, he already had cousins here to welcome him. He began work as a laborer, carrying the hod and worked his way up to police officer, later security guard. German immigrants had a considerable impact on St. Louis. 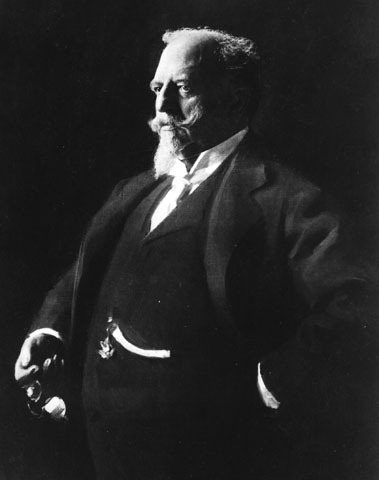 But none left a more dramatic impression than an enterprising young man from Kastel Germany, named Adolphus Busch, who arrived in St. Louis shortly before the Civil War broke out, enlisted in the Union Army, served briefly under Ulysses S. Grant, married Lilly Anheuser (daughter of another German immigrant) and grew a fledgling brewery into a powerhouse (for decades the largest brewery in the world). Together they created a family dynasty that gave the city Cardinals Baseball. 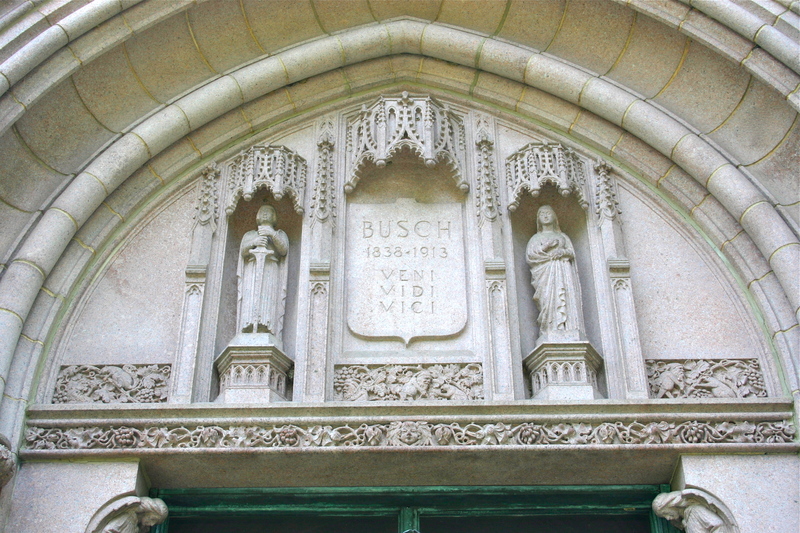 The quotation (borrowed from Caesar) which Lilly Anheuser Busch had engraved on the miniature, cathedral-styled mausoleum in which she buried her husband in Bellefontaine Cemetery, pretty much said it all. 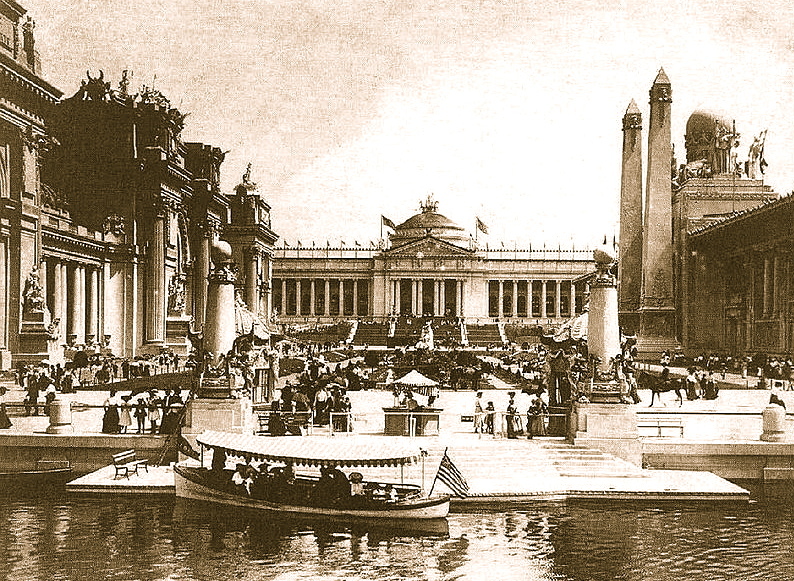 David Francis, one-time Mayor of St. Louis, Governor of Missouri and U.S. Secretary of the Interior, was then President of the 1904 World’s Fair. 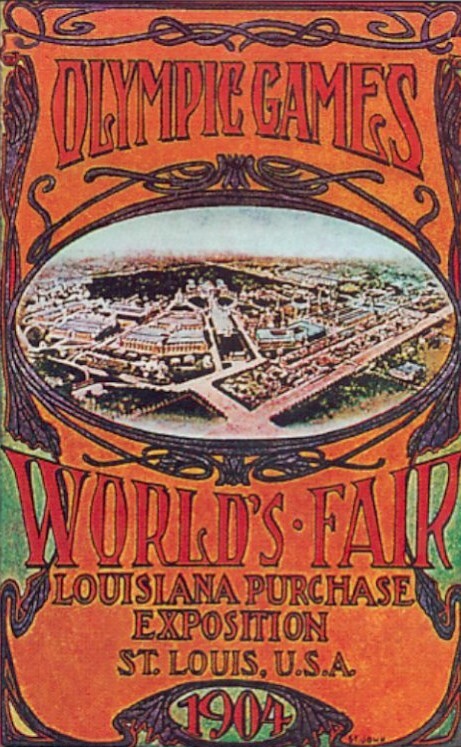 Francis was instrumental in getting the first Olympic Games held in the United States situated in St. Louis concurrent with the fair. A natural diplomat, with a deep interest in foreign relations, Francis helped to organize the world’s first International Peace Conference during the fair. He later served as U.S. Ambassador to Russia during the Russian Revolution. Founded in 1919 to help refugees from the First World War, the International Institute of St. Louis (http://www.iistl.org/) is a non-profit organization that provides services to more than 7,500 immigrants and refugees from seventy-five countries residing in St. Louis City and County. Services include instruction in English, computer and citizenship, refugee resettlement, economic development through small business opportunities, and a host of health-related, social services. 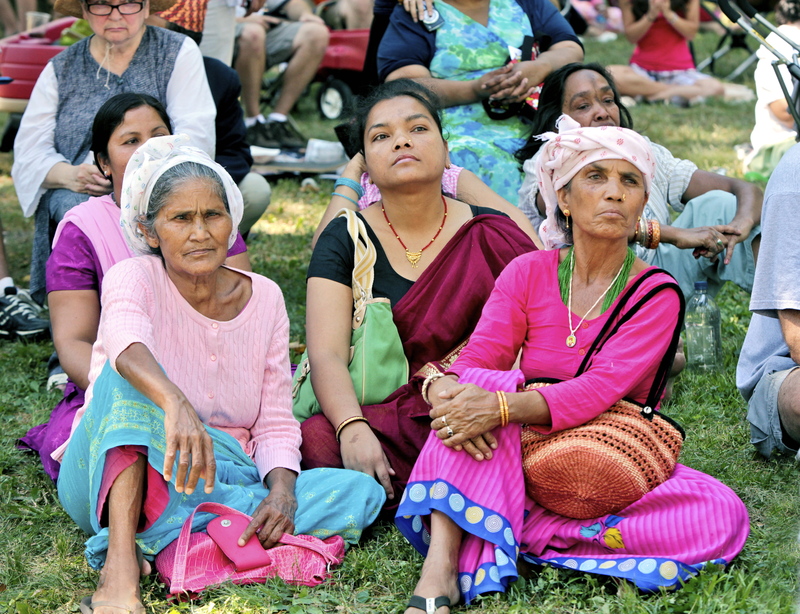 Their website states that they “have had a hand in the resettlement and integration of every new immigrant population in St. Louis for almost ninety-five years.” The International Institute is currently at located at 3654 South Grand Blvd. in one of the city’s most diverse areas of foreign-born residents and business people, home to people from many areas of Asia, Africa and Latin America.When I was a girl one of my Irish grandmothers lived two blocks from this location. It was a bustling neighborhood of Europeans, Mediterraneans and first generation Americans where many languages could be heard on a streetcar ride. 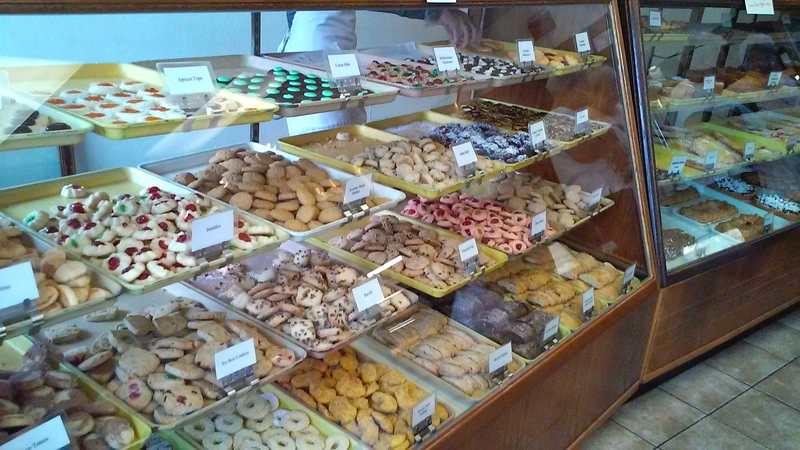 Ethnic bakeries, butcher shops and markets have been replaced by Middle-Eastern cafes, Persian, Thai, Chinese and Ethiopian restaurants. The smells are still alluring but more exotic. 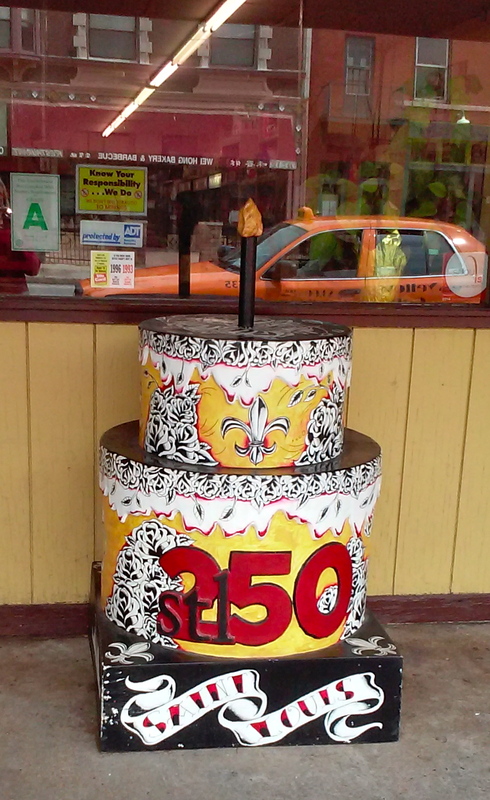 An STL250 Birthday Cake stands outside of Jay International Food Corp. at 3172 South Grand signifying one of the city’s first international grocery stores and Suchin Prapaisilp, one of the most successful, non-national St. Louis entrepreneurs of the late 2oth century. 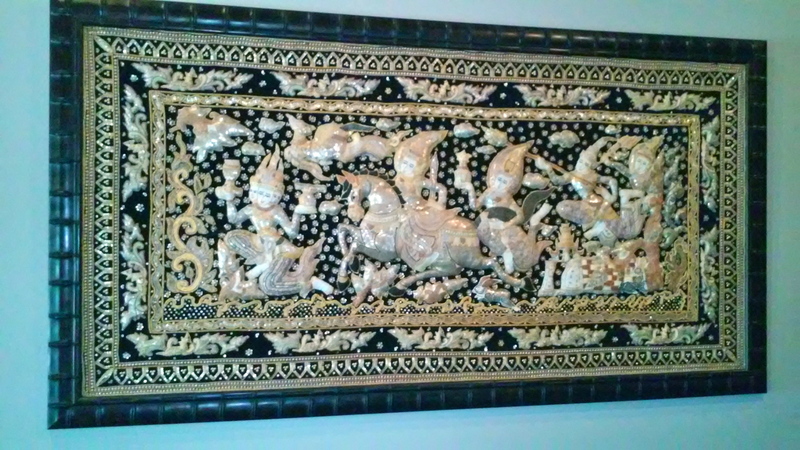 Named for Suchin’s brother Jay, who later returned to Thailand, Jay International is managed by their sisters who have made St. Louis home. 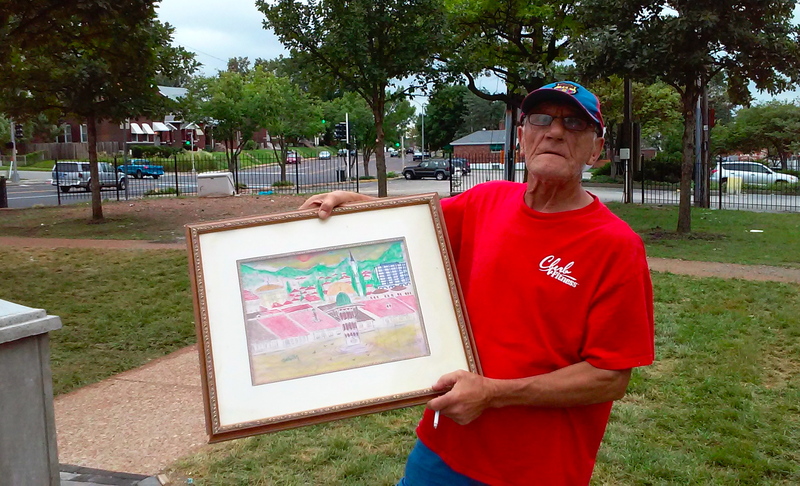 Suchin emigrated to St. Louis in 1970, a trip made possible by a gift from his mother, a modest savings of several hundred dollars, that offered him the opportunity for a better future in America. 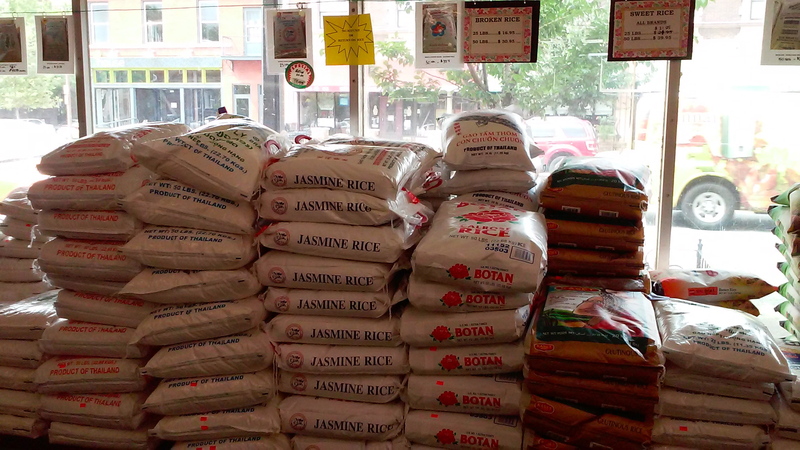 He worked three jobs until he had the money to open his own business in a small storefront “with one light bulb” on South Grand, bringing his sisters to the U.S. Business flourished with the arrival of Vietnamese refugees who attended St. Pius Church up the street, followed by Laotians and Cambodians. 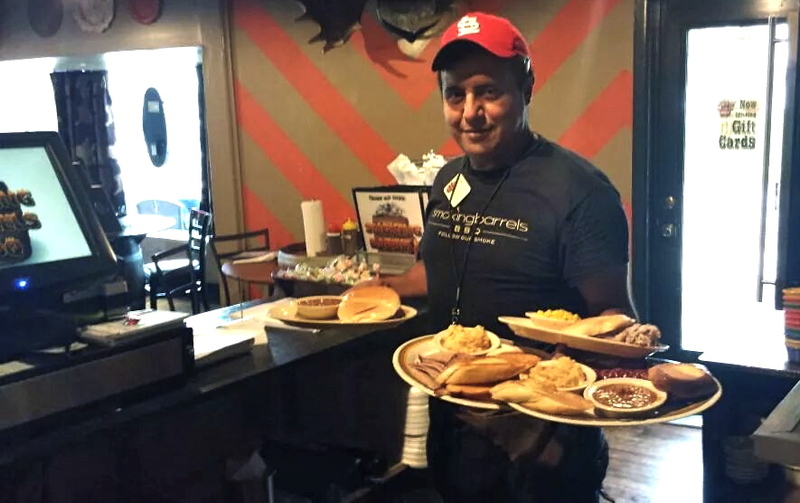 He expanded his stock gradually to provide whatever new residents wanted to eat, moving to his much larger, current location (also on South Grand Blvd. ), importing foodstuffs eventually from Italy, India, Nigeria, Eritrea, Congo, Israel, the Phillipines, Uzbekistan, Brazil and Mexico. The list just kept growing, to more than ten thousand items from around the world. Prapaisilp’s various businesses now include The King and I Restaurant on South Grand, Oishi Sushi & Steakhouse in Chesterfield, Global Foods (http://www.globalfoodsmarket.com/) in Kirkwood and the new Global Foods he’s opening in collaboration with Washington University – a 15,000 square foot, international market in The Lofts of Washington University in the Delmar Loop, which will also sell prepared foods. 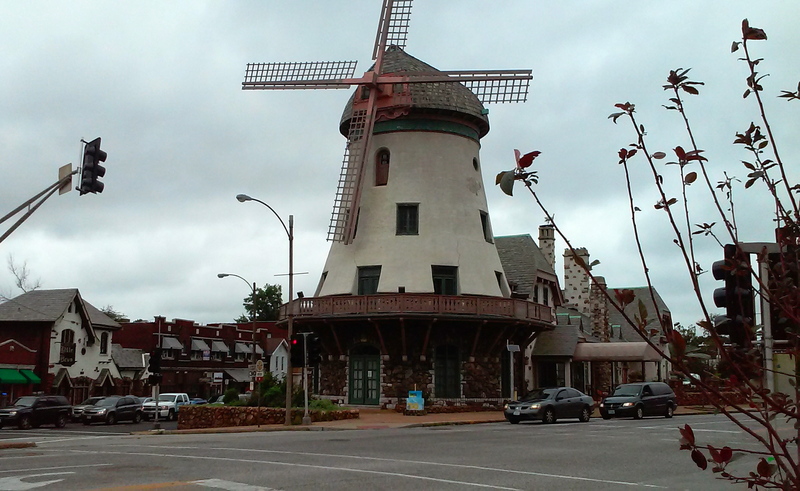 The Delmar Loop is to St. Louis County what South Grand Boulevard is to the city – a rich, multicultural mix of peoples. 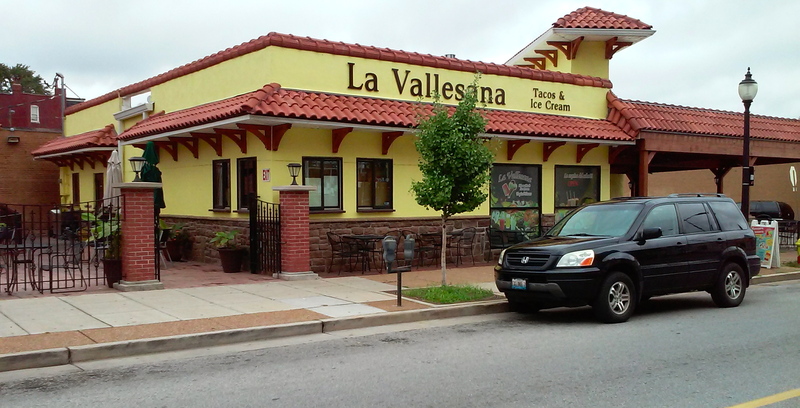 A little further south and east of Grand Blvd., Cherokee Street between Gravois and Jefferson Avenue evolved into a vibrant Hispanic, cultural center. Though many more Latino immigrants have settled in the Maryland Heights area of St. Louis County, they come to south city to shop for specialty items like soccer equipment at Minerva Lopez’s Gooolll! 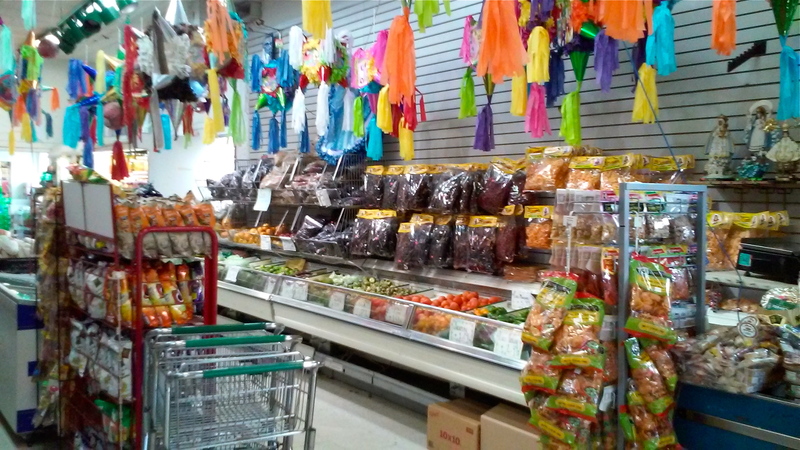 and imported foods, fresh meats and sundries at Carlos Dominguez’s Carniceria Latino Americana La Mexican. Dominguez was one of the early, foreign-born, business people of this Hispanic center, opening his market in 1985. Immigrants from many areas of Central America come to shop where someone speaks their language and understands their needs. His business is thriving. 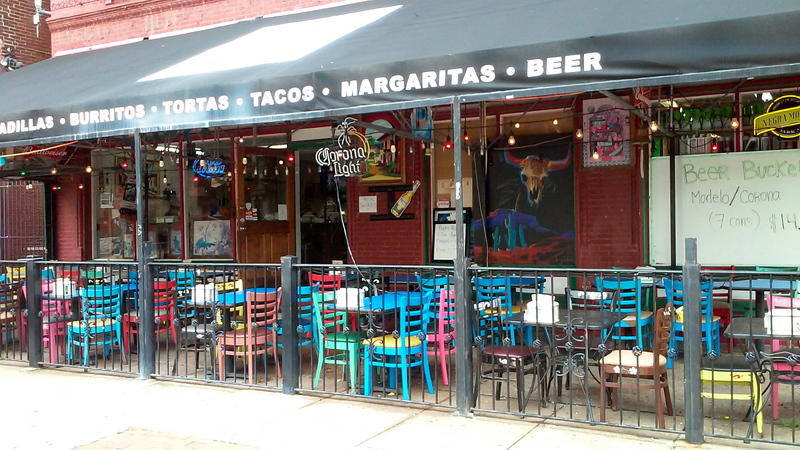 In 2010 he expanded, opening Don Carlos’ Restaurant alongside the grocery store. The vivid colors of the patio furniture give this once-German enclave an exuberant twist reminiscent of his native Mexico. 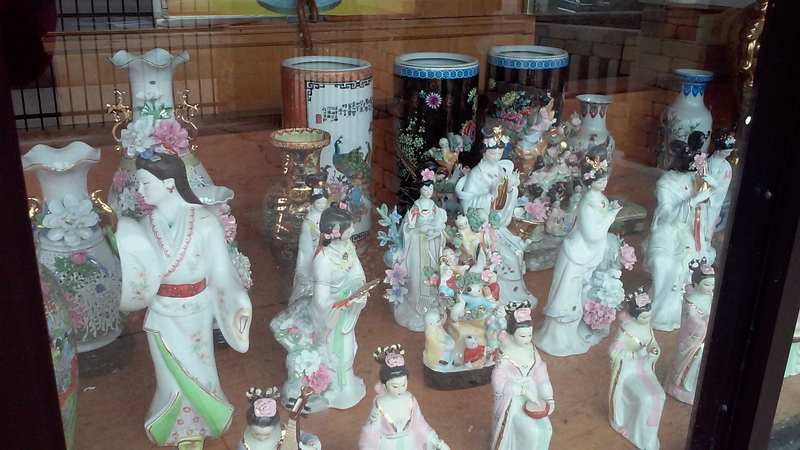 Unlike the 19th century when non-English-speaking, immigrant groups and refugees arrived in such large numbers that they formed enclaves – Chinatown, Dutchtown (Deutsche Town) and La Montagna/The Hill – recent immigrants and refugees have arrived in small enough numbers to be assimilated into many different neighborhoods. Named “The Hill” by Italian immigrants who built homes and businesses above the huge caves in which many of them were mining clay, this proudly ethnic neighborhood within a generation spawned doctors, religious, politicians, professional athletes, chefs, entrepreneurs who learned to speak English but kept Italian close enough to their hearts that succeeding generations still understood if not spoke it fluently. 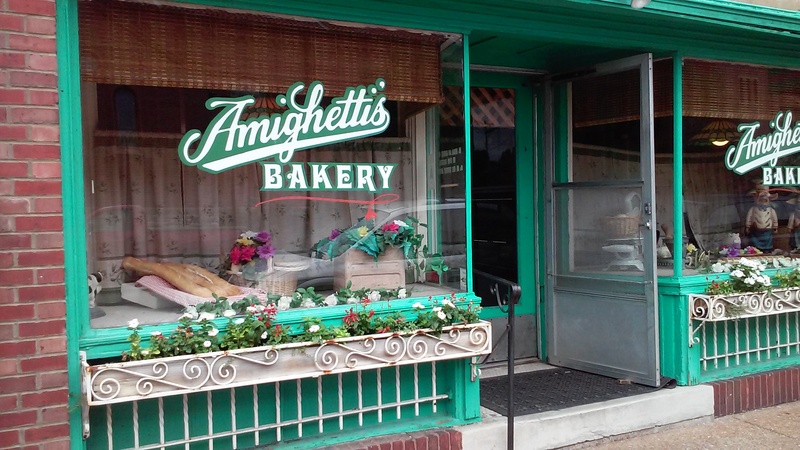 The Hill is where you must come to eat at least once while you’re a tourist in St. Louis and love to shop if you live here, for pasta and wine, bread and scrumptious, Italian pastries like Cannoli or Missouri Baking Company’s Amaretto Macaroons. Most of the businesses on The Hill began as (and many remain) family businesses whether you’re talking about contractors or grocers. Where else but The Hill would you be handed a business card featuring a wedding photo of the company’s founding parents? A wedding photo of John and Angela Viviano, who married in November of 1929 is also prominently displayed near the entrance to the store along with another of the couple in their later years. 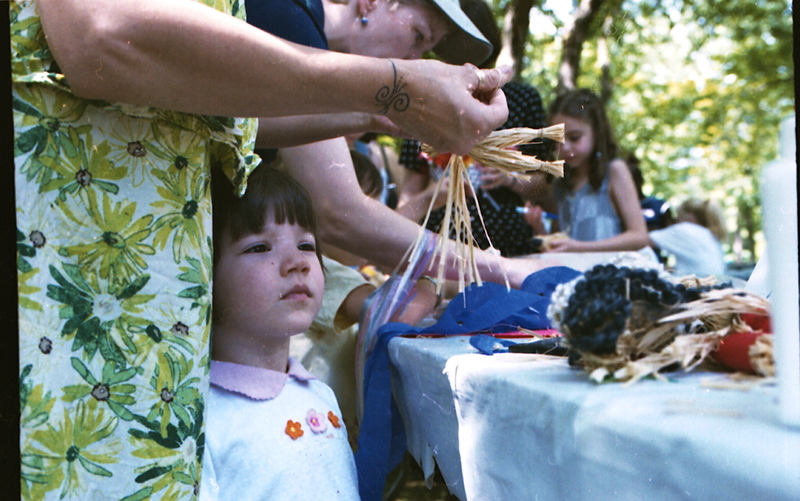 The memories of immigrant ancestors are precious. In this neighborhood they have a prominent place. 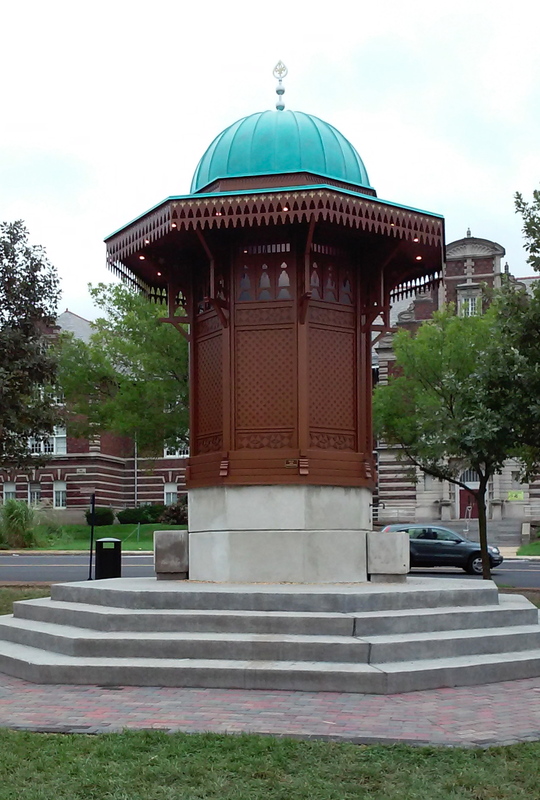 years, become home to the largest refugee group in St. Louis, some referring to it as Little Bosnia. Within sight of Bevo Mill the Bosnian community, proud of their own heritage, have erected an exact replica of the Sebilj Fountain that stands in Sarajevo, in their homeland, Bosnia-Herzegovina. The original public fountain was designed in 1753 by Mehmed-pasha-Kukavica. In this neigborhood as in others it’s fascinating to see how new St. Louisans are adapting to and re-inventing architectural styles and detailing with their own distinctive and beautiful craftsmanship; introducing their old world to St Louis. At sixty thousand strong, St. Louis contains the largest Bosnian population outside of Sarajevo. 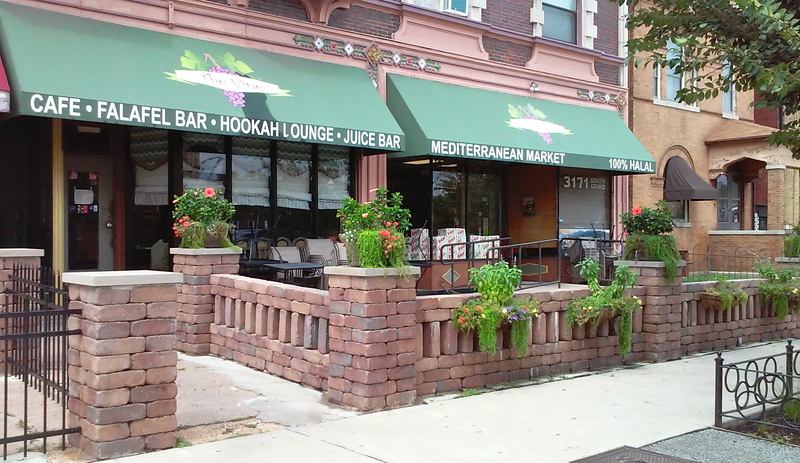 The Sabah Bosnian Amer Newspaper is published in this southside neighborhood and distributed nationally. The very first newspaper in St. Louis was published in French and English by Irish immigrant, Joseph Charless. The day that I took these photos Ahmetkavic Mirsad excitedly showed me a painting that he had made of Sarajevo where he lived for many years. He conveyed with his expressiveness the energy and passion with which so many Bosnians are shaping St. Louis and making it their own. A case in point is the Bosnian-owned Pizzeria Tivoli at 5861 South Kingshighway whose owners have transformed a formerly non-descript, office storefront into a charming corner restaurant. He went on to explain how “the region’s relative scarcity of immigrants largely explains our poor economic growth” and loss of stature among other metro areas, and how critical it is for St. Louis to attract more immigrants to reverse that trend. It’s the goal of the St.
“Germans love reading Huckleberry Finn,” she told me. “So I grew grew up reading that and when I first saw the Mississippi the story resurfaced in my mind. Nostalgia!” Susanne opened a German language communications company in 1994, expanding to 150 languages as AAA Translation (http://www.aaatranslation.com/) in 2000. Her company is located in Chesterfield. Dennis Machado’s story is different. He grew up in extreme poverty in Honduras, starting work as a boy after the death of his father, to help his mother who was raising seven other children. 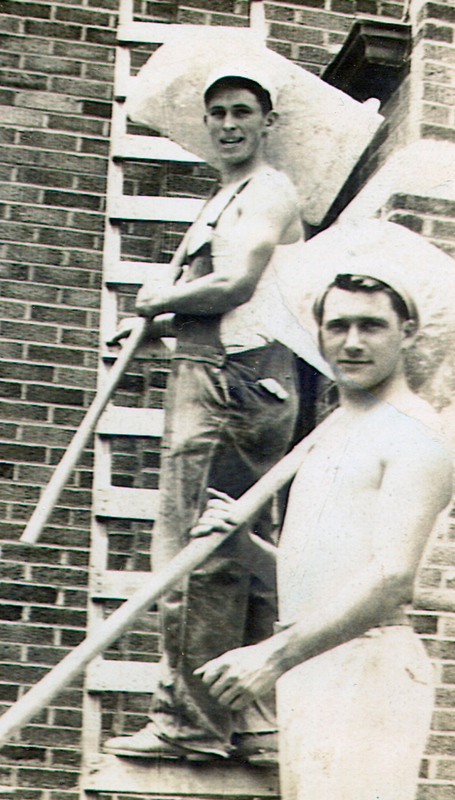 As a teenager he literally walked to the U.S. Over time, with lots of hard work, he was able to send for his brothers. Together they built a house for their mother in Honduras. Recently Dennis has realized the dream of opening his own restaurant. Machado co-owns Smoking Barrels BBQ (http://www.smokingbarrels.net/) at 5641 S. Kingshighway with Fernando Ordonez, where they are both pit masters. The saying on their website reads “Follow our smoke;” something more and more area residents are doing because it is so tempting! And delicioso! St. Louis is indeed a mosaic. And there’s so much room for it to expand! New ideas, new energies, new ventures, new frontiers are welcome here. Along with the kind of daring and tolerance that rooted us here on the cusp of the west and made of us a gateway. References: *Historic St. Louis – 250 Years of Exploring New Frontiers by J. Frederick Fausz, PhD, a publication of the University of Missouri St. Louis, HPNbooks; **Robert Campbell in From Mountain Man to Millionaire by William R. Nester, published by the University of Missouri; ***The Civil War in St. Louis – A Guided Tour by William C. Winter;****www.stlouis-mo.gov. 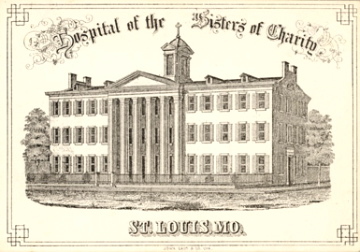 Illustration Credits: Hospital of the Sisters of Charity St. Louis ca 1854 – used with the permission of the Becker Medical Library, Washington University School of Medicine; Irish Immigrants – Frank Leslie’s Illustrated Newspaper 1856 – in the public domain. 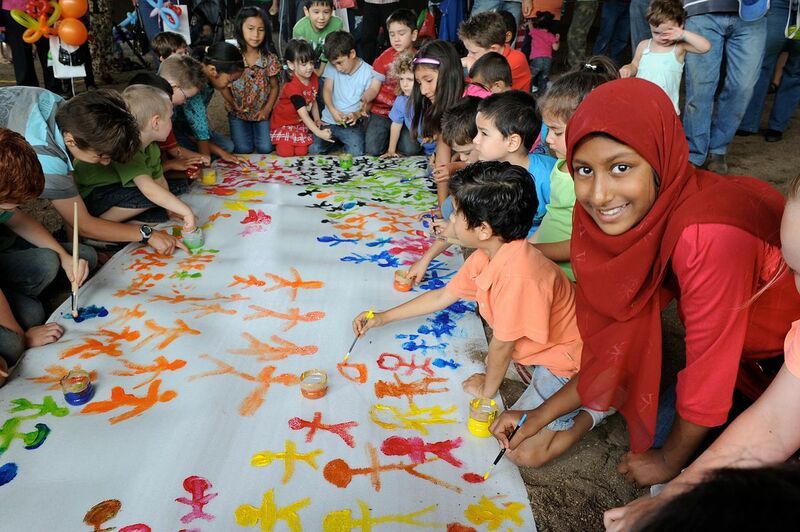 Photo Credits: Harmony Day – “Harmony Day (5475651018)” by DIAC images – Harmony Day Uploaded by russavia. Licensed under Creative Commons Attribution 2.0 via Wikimedia Commons #mediaviewer/File:Harmony_Day_(5475651018).jpg; Adolphus Busch -“Adolphus busch2” by Unknown Original uploader was DavidOaks at en.wikipedia – Transferred from en.wikipedia; transferred to Commons by User:Sreejithk2000 using CommonsHelper. (Original text : Library of Congress). Licensed under Public domain via Wikimedia Commons -http://commons.wikimedia.org/wiki/File:Adolphus_busch2.jpg#mediaviewer/File:Adolphus_busch2.jpg Prapaislip; Two Photos from the International Festival of Nations, St. Louis, MO – used with the kind permission of The International Institute of St. Louis; Dennis Machado of Smoking Barrels BBQ, St. Louis – provided by Dennis Machado; Susanne Evens – provided by Susanne Evens. 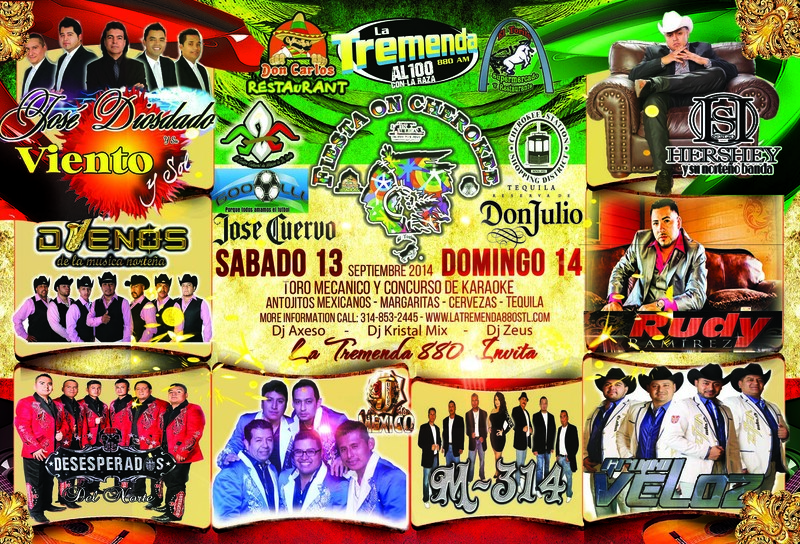 Fiesta on Cherokee Poster – provided by Minerva Lopez. 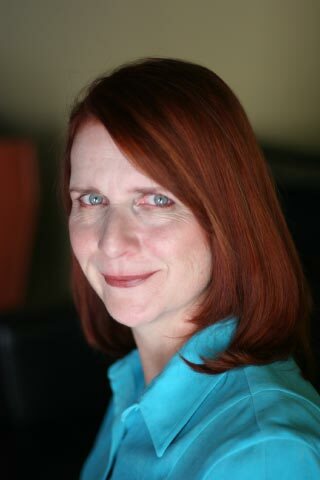 All other photos are by Maureen Kavanaugh, author of this blog. This entry was posted in Happenings, History, Immigration in St. Louis, Neighborhoods, St. Louis and tagged Adolphus Busch, Bevo Mill, Dutchtown, Immigration in St. Louis, John Mullanphy, Little Bosnia, The Hill, The International Institute of St. Louis. Bookmark the permalink. 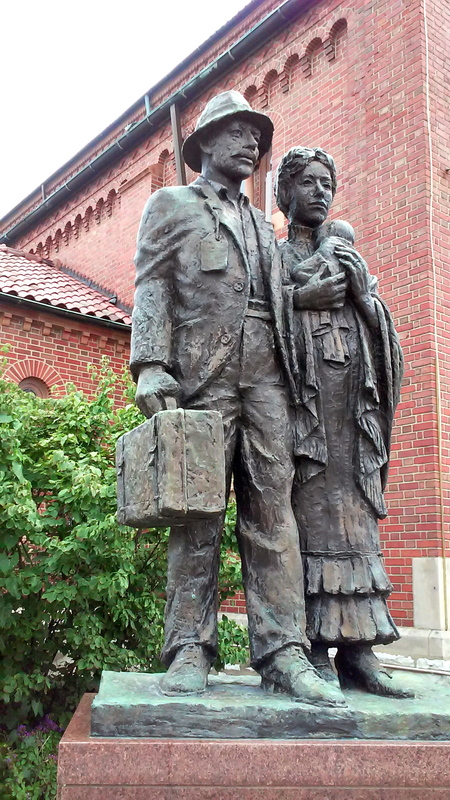 Very nice job, Maureen, in pulling St Louis immigration history together. I have signed up for the tour you are doing with So. Grand Senior Ministry. Looking forward to it. Thank you, Mary! I’m glad that you liked the blog post. I’m so happy that you’ll be joining us on the STL250 Tour! I want talk with you about doing a version of this material as a program for CHS spring meeting but don’t have the date yet, except in March. I would love that, Mary! Just a small point: Sebilj was first built by Mehmed-pasha Kukavica in 1753. Sukrija Dzidzovic is a publisher of Sabah not designer of Sebilj. Thank you very much for this correction! Will take care of it right now.